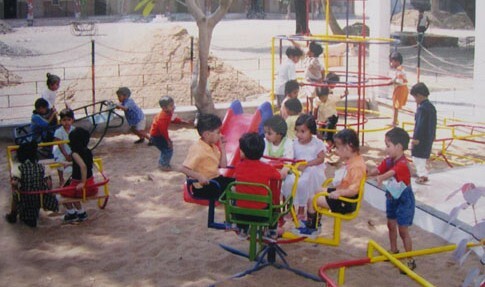 The school is an English medium co-educational school having classes from Nursery to class XII we have science and commerce streams beginning from class XI . 1. To take admission in the science stream the student should obtain 65% in the aggregate of X Board Examination. 2. If any student wants to opt Mathematics he must obtain a minimum of 65% in Mathematics of X Board Examination. Admission to other classes –Admission to the above classes are restricted to the availability of seats in each class. Admission to class XI is only considered after the declaration of Board Examination results and subjects are offered according to performance and availability of seats.Admission forms are issued from the school which has to be submitted on the due date along with the photocopy of the previous class mark sheet (the original mark sheet also has to be brought for comparing with the photocopy and will be returned) and the original school leaving certificate of previous school.